ONE GRAND PRIZE WINNER will receive a FREE RESOURCE OF THEIR CHOICE from ALL of the stores below!!! They will also receive a $25 gift certificate to New York and Company to shop for a new teaching outfit! That is a HUGE VALUE! It's like TEACHING SHOPPING SPREE! AND MORE STORES STILL SIGNING UP!!! ONE SECOND PLACE WINNER will receive FIVE FREE RESOURCES from my TeachersPayTeachers store! 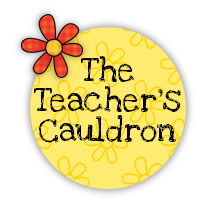 ONE THIRD PLACE WINNER will receive TWO FREE RESOURCES from my TeachersPayTeachers store! To enter, follow the directions below! The contest will run from Monday, April 16th- Saturday, April 21st! Best of luck! YOU could be the BIG WINNER!!!! Best of luck to you, Molly! I will be over to join your blog now! :0) Anyone reading should do the same and spread the blog love! Love your cute blog and follow you of course! I follow so many of those blogs above! Corkboard Connections, A Teacher's Treasure, Sunny Days in Second Grade, a Special Kind of Class, Teaching 4 Real, A Modern Teacher, and more! Wow what a generous give away!! Yeah, I follow your blog. I follow so many of the blogs listed and will for sure find some new ones too. Thanks so much! Best of luck! I am a new follower of your blog and just started following you on Pinterest. This is a GREAT giveaway. I follow all of the blogs listed so far (last one in list is Teaching in the Early Years). Just discovered your blog. Now I'm following!! I follow a lot of the blogs already-Sunny Days, Mrs. Lirette's, Rockin Teacher Materials and more! Wow--what a great giveaway! I follow you!! I follow many of these wonderful blogs! Thanks! This is a great giveaway! I follow lots of the blogs that are participating! They are all great! What an amazing giveaway! I follow your blog! I'm a new follower! So glad to find some new blogs too!! I follow these wonderful bloggers! Loving this give away! I follow a few of the bloggers above, but will be following all, now! :] Thanks for the opportunity! I follow all of the blogs above!! I am a new blog follower!! What an AMAZING giveaway!! What an amazing giveaway! This would be the perfect giveaway for me to win! 25 resources and an outfit can go a long way for a student teacher! I have been following many of these blogs for a while now. I can't wait to start following me and getting new ideas for my classroom. I follow most, if not all of these blogs. 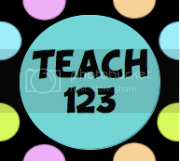 I am now following your Pinterest and also yours, the Seussatastic Classroom and Corkboard Connections blogs. I used some of Laura Candler's resources in my college classes and didn't know she had a blog. I follow several of theses blogs and I am exited to find yours! I'd write more, but I want to read some of your posts. Just started following you on FB and pinterest, thanks so much! I follow. Thank you for the opportunity! This is a wonderful giveaway. Thank you so much for the opportunity. It is awesome to see teachers helping other teachers. This is an amazing giveaway!!! Thank you for all that you do to help kids all over the world learn at the highest level possible! I'm a new follower! I'm looking forward to great things. Thanks for being such a generous blogger! I follow your blog and several of the others listed above! This giveaway is UHmazing! I already follow most of these blogs and I added the few that I did not follow yet. What a giveaway! I follow almost all of these wonderful blogs. Thanks for sponsoring and participating in this giveaway. We are so fortunate to be part of such a giving group. Such a fantastic collection of peeps and prizes! I follow several of these blogs! I'm a new follower and glad to have found you! I am following quite a few of the blogs listed already! I'll have to check the rest out soon! Followed some already but found really neat new ones! Thanks. I'm your newest follower! Cute blog! I love your colors on this blog. I am a follower! I follow several of the blogs listed! I follow most of the blogs in this giveaway! I follow several of these blogs! Going to check out some of the others now! I'm also following most of those other blogs and I'm headed to the other ones now! What an awesome giveaway! I LOVE NY&Co!! Great give away! I follow First Grade and Fabulous and now I follow you and It's Elementary! I follow your blog! What an amazing giveaway! Wow!!!!!! And I also follow many of these fabulous blogs! I follow most of the blogs above and just became a follower of the rest :) Thanks for the great giveaway! I am your newest follower! And I follow most all of the blogs listed! I am now following by email blast. Thanks. I'm following Teaching in the Early Years by email. I'm following Super Second Graders by email. I'm following Innovative Connections by email. You will love Ann Marie over there! She is so sweet! Good luck! I'm a new follower. Thanks for all the wonderful ideas! I'm glad you've come over! :0) I'm glad you got some great ideas! What a fantastic list! 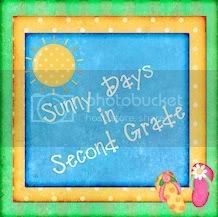 I follow many of the blogs already - A Modern Teacher, Sunny Days in Second Grade and Corkboard Connections to name a few. I'm excited to be your newest follower, Leanne! Hello! thank you so much for the wonderful website. I follow lots of the blogs listed. I already follow these wonderful blogs!! Glad to hear that! Good luck! Thanks for the giveaway. I am a new follower. I also follow a ton of the blogs listed above. Do I have to list them all individually? I follow your blog and a bunch of the other ones listed. This is a great giveaway!! I follow LOTS of the blogs! 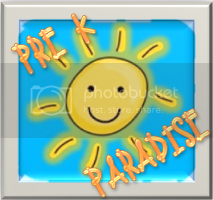 I'm a new follower and just started following Sharing Kindergarten, too. Thanks to the BEST TEACHER CHEERLEADER!!!! You rock!